MakerPoint FLEX 65 is a semi flexible filament. It is bendable in most not too robust 3D printed shapes. Its mechanical strength and durability combined with good resistance to chemicals and extreme temperatures makes it a unique filament. 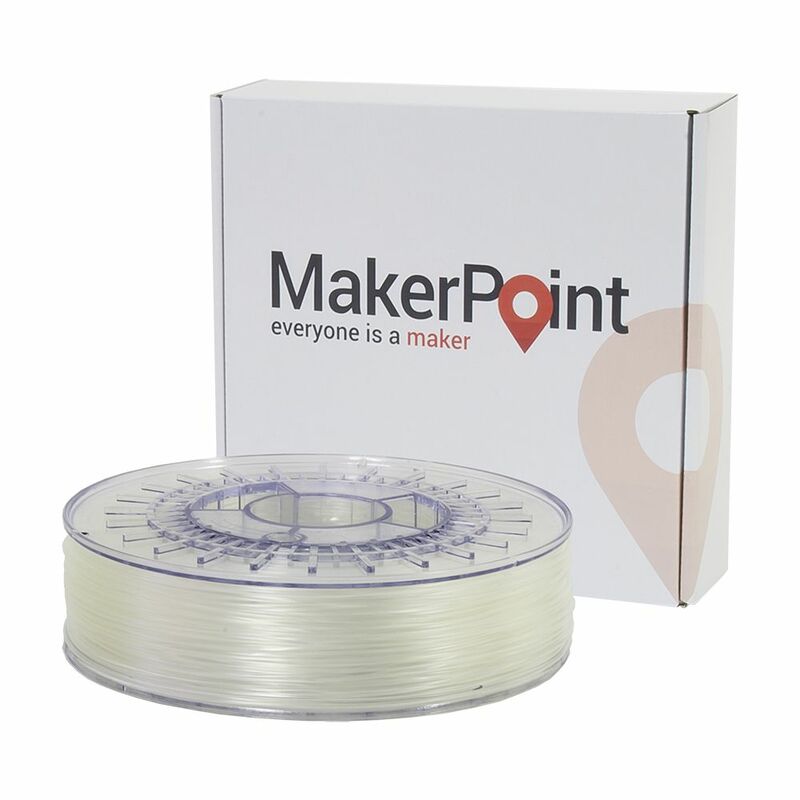 MakerPoint FLEX 65 is a semi flexible filament. It is bendable in most not too robust 3D printed shapes. Its mechanical strength and durability combined with good resistance to chemicals and extreme temperatures makes it a unique filament. This BIO performance Thermoplastic Co-Polyester has a medium carbon grade of renewable materials resulting in less environmental impact. FLEX 65 exhibits excellent UV resistance. 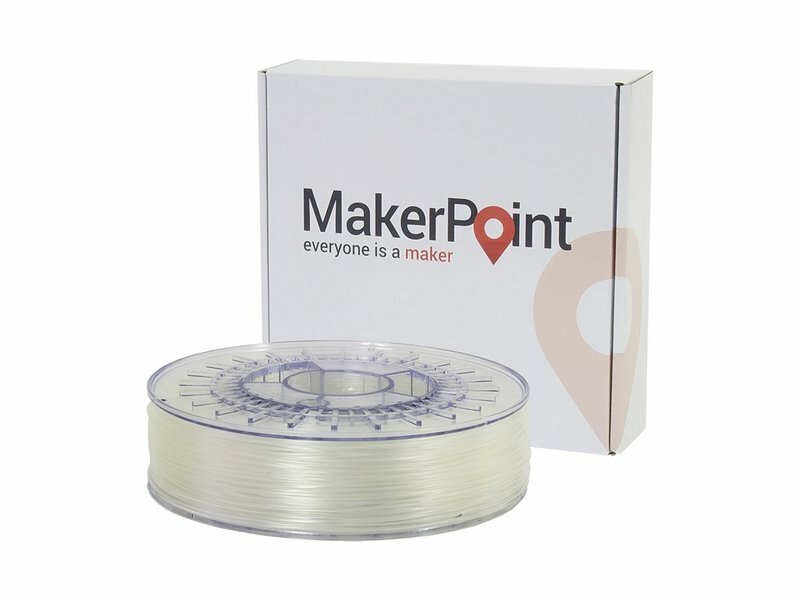 MakerPoint FLEX 65 is available from stock in natural and black. Special colors are available upon request with a minimum order quantity of 20kg.